Ten More Days Left to Apply! Please make sure to submit your application for the 2016 TJFP grant making cycle by Febrary 15th, 12am EST. We’re looking forward to hearing from you! TJFP community grant making panelists, past and present. Comments Off on Ten More Days Left to Apply! Sustaining trans justice through art! Just as we believe there is no one way to do trans justice, we also believe there is no one way to volunteer or donate! Over the past few years artist and activist Roan Boucher has donated 50% of all proceeds from his Queers Demand prints to the Trans Justice Funding Project! 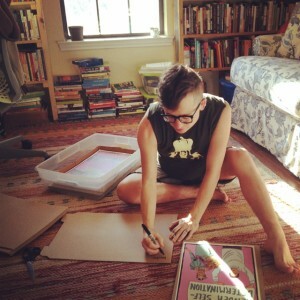 In addition to being a fabulous ongoing TJFP sustainer, Roan is also the designer of our logo. 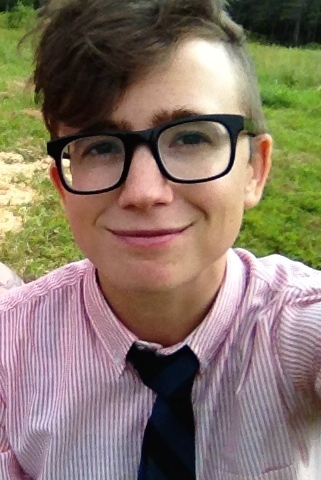 Here’s more about Roan and why he supports TJFP and trans justice. 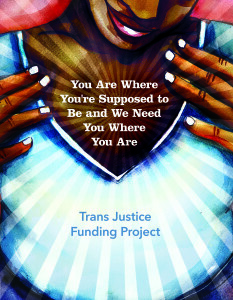 How are you involved with the Trans Justice Funding Project? 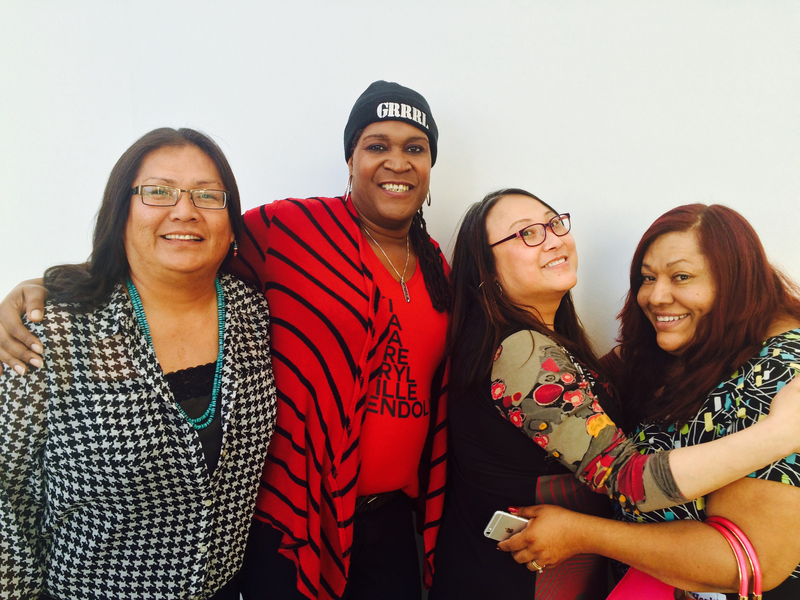 Why is trans justice work or funding trans justice work important to you? The work that TJFP’s grantees do is so important, particularly because it is work that addresses a wide spectrum of the issues that impact trans people. So often it is only a few specific issues that are seen as “relevant” to trans people, but really trans people and communities are affected in particular ways by all the systems that distribute resources and manage how people function in the world. Trans people so rarely get a voice in the systems that affect us, so it’s really important to support organizations that are led by trans folks and focus on the issues that we identify as most important in our lives. Plus, so many of the kinds of things that often make life hard for trans people – like not being able to get proper IDs, being profiled by police, having difficulty finding jobs and housing because of prejudice, having kids taken away – all these are things that make life hard for lots of targeted communities in different ways. I think that often, through doing trans justice organizing, the groups that TJFP funds are exposing these systems as violent and unfair across the board, and working to make changes that will benefit not only trans people but all people. Do you have any hopes or wishes for TJFP for the next few years? To keep gathering momentum and raising money and building connections between and awareness of organizations doing awesome work! So many of the groups TJFP funds are small, grassroots groups doing incredibly important work in their communities and not always getting a lot of attention or support outside their communities. TJFP fills a really important role not just of raising money but also building political analysis/awareness around trans justice and what it looks like on the ground. I want to see this work continue, and build momentum and support around forms of trans and queer organizing based in social justice rather than the mainstream marriage/military/capitalist assimilation kinds of goals that currently get tons of funding and attention! If you see yourself as an ally to trans justice work, how do you see your role as an ally and/or do you have anything to say to other allies? I think we all are hopefully allies to each other, right? I identify as trans, but various kinds of privilege buffer me from a lot of the forms of transphobia that TJFP’s grantees are working to end. I think being an ally means seeing all of our liberation as bound up together – that we can’t truly win justice for some trans people without winning justice for all trans people. That’s why I’m so excited by trans organizing that centers racial and economic justice, and organizes around justice for trans people in places like prisons, welfare systems, the immigration system – places that are sites of a lot of intersecting forms of violence. I think that the best way to build justice and safety for all trans people is to center the people who are facing the worst forms of transphobia and start there. What do you enjoy doing when you’re not volunteering at TJFP? I work with my amazing and dreamy facilitation worker co-op, AORTA (Anti-Oppression Resource and Training Alliance). I parent a pretty amazing 11-month-old baby. I recently moved home to Texas and am busy building home and family and community in the hill country outside of Austin. I work from a distance with POOR Magazine in the Bay Area, helping support them in building the Homefulness project, which is a housing and organizing and media-creating and community-building space by and for poor people. I make art. I do a lot of nerdy kitchen fermentation projects and generally like to cook things and grow things and do many projects of all sorts. Thank you Roan for inspiring and moving us with your artwork and support. We heart you! Comments Off on Sustaining trans justice through art!